On a global scale the central banks of the world, continue nonsensical monetary policies that in the end will destroy all confidence in national currencies. Interest rates have been reduced to below zero in a number of countries and the monetizing of government debt continues apace. Nations continue to spend beyond their means, with no thought to how close insolvency looms. Investors are increasingly dealing with financial markets, that no longer make sense according to traditional standards. Analysts are progressively wondering, what will be the end game to these desperate actions? Greece has become the prime example of what happens when a country continues to live way beyond what is affordable. Greek politicians unwisely offered far more than was prudent. What the people of Greece were promised was that they would be permitted a first world living standard, even though the economy of the country could not support it. It was achieved regardless through borrowing over many years, that assumed unsustainable levels in relation to the Gross Domestic Product (GDP) of the country. It is now at a crushing 177.1%. The country now owes $245 billion USD, in a nation of just over 11 million people. 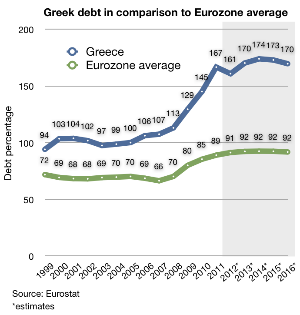 At this point the national debt of Greece, is no longer repayable in a practical sense. It is important to remember that it was only in 2006, when Greek debt for the first time breached the 100% level in relation to GDP. In less than a decade, the country has gone over the brink. Greece is the first nation in the developed world, that has defaulted on loans from the International Monetary Fund (IMF). It will not be the last one. One may wonder how is it possible that a nation can go from having a GDP to debt ratio of just 22.60% in 1980, to the present fantastical rate? What many analysts fail to explicate is that Greece is not the worst offender. Japan has gone from 50.60% debt incurred in relation to GDP in 1980, to a present rate of 230%. The only major difference is that where most of the Greek debt is held by foreign creditors, Japanese debt is being financed internally. What makes this possible, is the high savings rate of the Japanese citizenry. The average citizen in Japan has learned to live well within their means, even though their government has not. 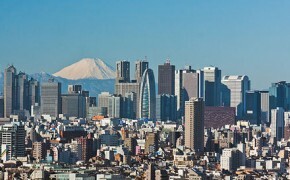 The Japanese are credited with the policy of quantitative easing (QE) in the modern sense. The country has been battling deflation and low growth for 25 years. The Japanese have redoubled their efforts at QE beginning in 2013, with further acceleration in 2014. There continues to be talk of even more rounds of asset purchases, on an even larger scale by the government. The Bank of Japan for the first time, is beginning to worry about the scope and size of all the liquidity being pumped into the economy. In addition, QE has not delivered the results that had been expected. The Swedish central bank also announced the expansion of its bond purchasing program by another 45 billion kronor, the equivalent of $5.3 billion USD (United States Dollar). This provides a supplement to the 80 to 90 billion kronor already in the pipeline, by the end of the year. To spend over $10 billion USD in purchasing debt from a country that has a population of less than 10 million and a GDP of only $487 billion USD, is a rather large amount of monetary stimulus in a single year. At the end of June, the People’s Bank Of China announced another 25 bps (basis points) rate cut and a 50 bps targeted reserve ratio reduction to support more growth. 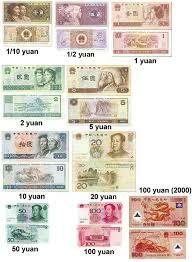 The immediate result was a decline in the money market rate and a further weakening of the yuan. Although after 3 cuts the main Chinese rate of borrowing remains quite high at 4.85% in comparison to most other countries, the trend has now been established. 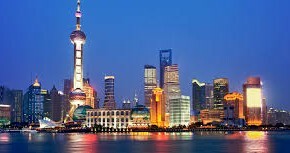 As the Chinese economy (the second largest globally) continues to slowdown, the interest rate reductions will proceed. The Chinese government is determined to keep the economy growing at 7%. It is deemed a lower rate of development, will bring instability to Chinese society at this juncture. The previous expansion in GDP averaged 9.06% from 1989 to 2015. The present rate of quarterly growth is at a 6 year low, due to a lag in manufacturing and property investment. In 2014 the economy only advanced 7.4%, the lowest rate of expansion in 24 years. The United States Federal Reserve Bank known as the Fed, has kept the main interest rate known as the Federal Funds Rate at 0.25% since December of 2008. The present cycle of lower cost money began in 2006. The average from 1971 to 2015 is actually 5.96%. One can clearly see the present situation is an anomaly, that cannot last indefinitely. The actions of the Fed will matter enormously. Not only is the United States the largest economy in the world at $18.125 trillion USD in nominal GDP, it provides the most used money in the world and is the foremost reserve currency in international transactions. A Map Of World Economies By Size Of GDP (Nominal) In USD. Quantitative easing as practiced in the United States allowed asset purchases by the Fed to swell the balance sheet of the central bank by 400%, to a total of $4.5 trillion USD. Begun in 2009, the policy was scaled back at the end of 2013 and finally ended in October of 2014. At the height of the program $85 billion USD was being used monthly, to purchase mortgage backed securities and government bonds. This equaled over $1 trillion USD on an annual basis. The total amount of liquidity injected into the American economy through three rounds of QE, was $3.5 trillion USD. To put this into perspective it is like adding the entire economy of the United Kingdom in cash, with money still left over. 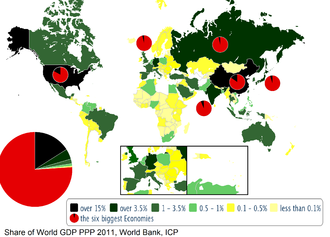 The American economy represents 22% of nominal global GDP and 17% of world GDP in Purchasing Power Parity (PPP). The Chinese economy at $11.212 trillion USD nominal GDP in 2015 and a GDP in PPP of $18.976 trillion USD, now possesses the largest economy in the world using PPP as the measure. The monetary policy of China will also have a tremendous impact on the global economy. The country has became the world’s largest trading nation, surpassing first Germany and then the United States in 2013. It is also expected that the yuan, will become an additional global reserve currency to be announced on October 20th by the IMF (International Monetary Fund). The Chinese currency will join the currencies of the United States, the United Kingdom, the European Union, Japan, Canada, Australia and Switzerland. It is important to note that 62% of all world transactions are currently done using the United States dollar. Half of all central banks in the world hold substantial amounts of American currency. The Chinese yuan could easily grab 10 to 15% of the total, reducing the share of other countries including the United States dollar. The currency markets are far larger than the stock and commodity exchanges. Where national stock markets deal in the billions, the foreign exchange market (FX) does business in the trillions. The FX is 200 times the size of the New York Stock Exchange. The European Central Bank (ECB) had experimented with negative interest rates before turning to a bond-buying program in March of this year. It is similar to what had been done in Japan and the United States earlier. Over German objections, new money was created and was then used to purchase government bonds. The 19 nation currency zone has embarked on an asset purchase program, that will equal 1.1 trillion Euros or $1.2 trillion USD. The stimulus plan has sent the Euro tumbling in value against the American dollar, to levels not seen in over a decade. Yields on some government bonds in Europe have now slipped into negative territory. The ECB was the first major central bank, that ever allowed interest rates to drop below zero. It is also providing cheap funding to any banks within the Euro-zone, that needs assistance in regular operations. Purchases of covered bonds by the ECB began in October of 2014 and asset back securities were added to the portfolio in November. Asset purchases by the ECB were tried twice before. In the years 2010 to 2012 the ECB bought sovereign debt from countries like Greece, Italy and Spain, but it was more limited in scope. Covered bonds were also purchased during the years 2009 to 2012 in response to the aftershocks of the financial panic of 2008 and 2009. Denmark has cut rates of interest four times in a month earlier this year, to – 0.75% and even took the unprecedented step of halting the issuance of all government bonds. This was in response to the plan by the ECB to expand QE. The Danish krone would have appreciated rapidly with the expansive monetary policies of the Euro-zone, which in turn would of damaged the economy of this small northern European country. Denmark is quite dependent on exports and a stronger krone would of put the country at a competitive disadvantage. 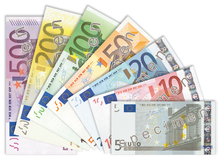 Switzerland was forced to abandon the peg of the Swiss franc to the Euro in January of this year. The central bank there, made the decision that attempts to defend the franc were not longer affordable. The value of the Swiss currency surged by about 30%, when the decision was announced. It has since fell back somewhat, but exporters have taken a big hit with the rapid appreciation of the Swiss franc. The value of the Swiss stock market declined by some 10%. The price for imports dropped significantly inside the country, allowing deflation to take hold much like what is occurring in the Euro-zone. In the United Kingdom interest rates remain at a record low of 0.5%. QE was put into practice by the Bank of England (BOE) beginning in 2009, in an attempt to revive the British economy. The BOE purchased 375 billion pounds of government bonds, the equivalent of $584 billion USD. The controversial policy was abandoned in 2013 after a close vote, as it was deemed to have failed to deliver the promised results. What cannot be disputed was the great benefit the policy had for the wealthiest people in British society. Concerns about the value of the pound helped short circuit new rounds of QE. Recent growth in the United Kingdom, makes more QE highly unlikely at present. 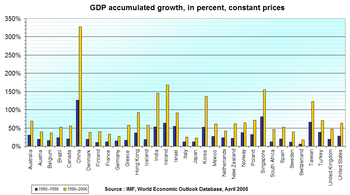 GDP Increase, 1990–1998 And 1990–2006, In Major Countries. Low interest rates and programs of quantitative easing in various degrees, have now been attempted almost everywhere. Australia, Asia, Europe, countries in Latin America and North America, have all engaged in monetary policies to drive the value of their currencies down. It is deemed an easier way to restore growth, rather than true economic and fiscal reform. By devaluing the domestic currency it makes exports more competitive in world markets. Since it also correspondingly makes imports cheaper, it helps reduce prices making low inflation and even deflation a reality in numerous countries. The problem is that as each successive country attempts these policies, it forces other nations to match it in order to remain economically competitive. The long term effects of this ongoing cycle, will be the debasement of the major currencies in the world and the destruction of the present monetary system of the world. This will only increase the siren call for a unitary global currency.